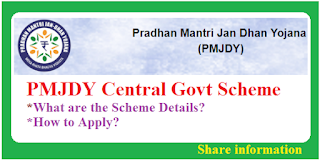 What are the Special Benefits from PMJDY Scheme? 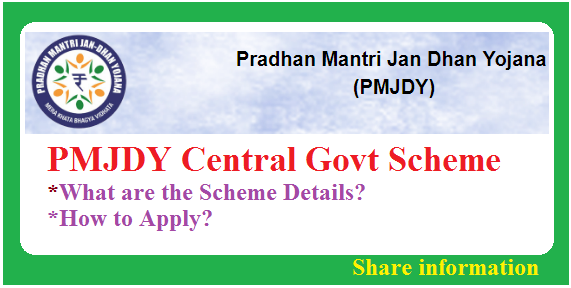 How to Apply for PMJDY Scheme? The main objective of "Pradhan Mantri Jan-Dhan Yojana (PMJDY)" is ensuring access to various financial services like availability of basic savings bank account, access to need-based credit, remittances facility, insurance and pension to the excluded sections i.e. weaker sections and low-income groups. This deep penetration at the affordable cost is possible only with the effective use of technology. PMJDY is a National Mission on Financial Inclusion encompassing an integrated approach to bring about the comprehensive financial inclusion of all the households in the country. 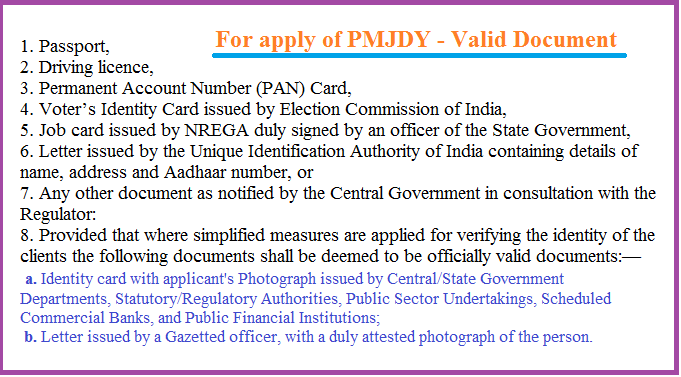 What are the PMJDY Scheme Details? Check and Apply! 4. The scheme provides life cover of 30,000 Rs/- payable on the death of the beneficiary, subject to fulfillment of the eligibility condition. 6. Govt Schemes Beneficiaries will get Direct Benefit Transfer(DBT) in these accounts. 7. After the complete satisfactory operation of the account for Six months, an overdraft facility will be permitted to your PMJDY Account. 8. One account per household for Overdraft facility up to Rs.5000/- preferably lady of the household. 9. Access to Pension, insurance products. 10. The Claim under Personal Accidental Insurance under PMJDY shall be payable if the Rupay Cardholder has performed minimum one successful financial or non-financial customer induced transaction at any Bank Branch, Bank Mitra, POS, ATM, E-COM etc. Channel both Intra and Inter-bank i.e. on-us within 90 days prior to the date of an accident including accident date will be included as eligible transactions under the Rupay Insurance Program 2016-2017. 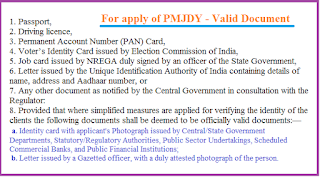 How to apply for PMJDY(Pradhana Mantri Jan-Dhan Yojana) Scheme? What are the eligible Documents to open Pradhana Mantri Jan-Dhan Yojana Account? RBI - Reserve Bank of India, vide its Press Release dated 26th-Aug-2014, has further clarified that those persons who do not have any of the ‘officially valid documents’ can open “Small Accounts” with banks. A “Small Account” can be opened on the basis of a self-attested photograph and putting his/her signatures or thumbprint in the presence of officials of the bank. Such accounts have limitations regarding the aggregate credits (not more than Rupees one lakh in a year), aggregate withdrawals (nor more than Rs.10,000/- in a month) and balance in the accounts (not more than Rs. 50,000/- at any point of the time). These accounts would be valid normally for a period of 12 months. Thereafter, such accounts would be allowed to continue for a further period of 12 more months, if the account-holder provides a document showing that he/she has applied for any of the Officially Valid Document, within twelve months of opening the small account.